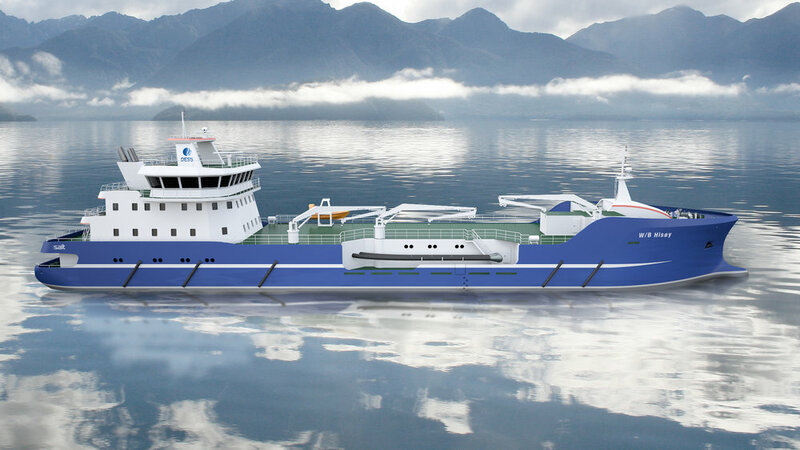 DESS Aquaculture Shipping AS in Grimstad, Norway, has ordered new Live Fish Carriers based on a design developed by Salt Ship Design. The vessels will be built by Sefine shipyard in Turkey, and the first two vessels will be delivered from the shipyard in 2019. The shipbuilding contract includes two optional vessels. 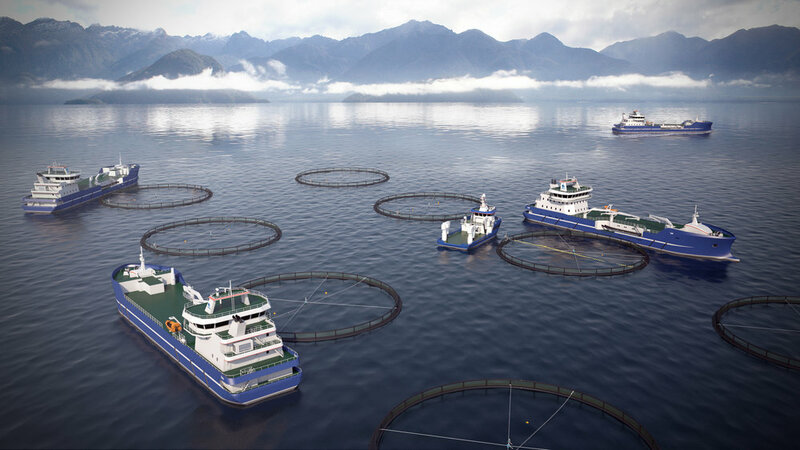 DESS Aquaculture’s strategy is to build, own and operate a range of fish farming vessels, and this is the third shipbuilding contract made since the company was established in June 2016. All vessels will be assigned to long-term contracts for Marine Harvest. The new vessels are 84.4m long and have a beam of 16.0m, and a fish well capacity of more than 3500m3. The design development has been ongoing for quite some time, and has resulted in a purpose made vessel designed to significantly enhance fish welfare, hygiene, quality and environmental aspects. The vessels have several new design solutions, and have extensive built-in flexibility with regard to different types of treatment methods. Salt has been working closely with DESS Aquaculture and Marine Harvest to explore how well boat operations can be made more gentle for the fish, and what are the operational requirements for a modern and efficient Live Fish Carrier. For our ship designers, it has been very exciting to cooperate so closely with a team of experts with such superior fish farming and operational expertise. For Salt, this represents a very important contract, which adds to an order book of 13 vessel designs under construction at Norwegian and foreign shipyards. Unlike the current offshore market, fisheries and aquaculture are doing very well and these segments represents an increasingly important market for Salt. In June 2016, the same ship owner contracted a Sea Harvest vessel based on design from Salt Ship Design. Newer PostSalt Ship Design to design new "Adenia"